Kriti Sanon, Priyanka Chopra, Anushka Sharma, Aditi Rao and Disha Patani. These are the best-dressed divas of Bollywood from the month gone by. Priyanka Chopra is one massive style icon and this international style icon rocks in every outfit, every time! The actress, who’s currently shooting in New York right, was seen in her satin outfit and WOW how mesmerizing she looked!!! 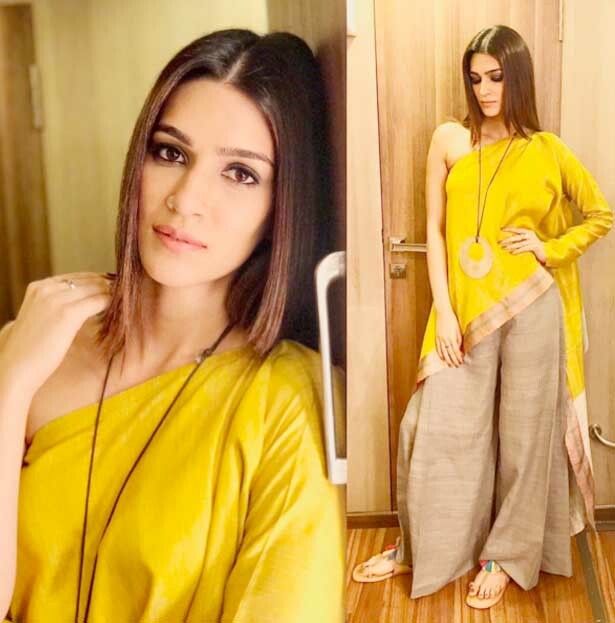 Kriti Sanon, seen in Bareilly Ki Barfi looked stunning as she posed in a yellow beautiful ensemble. Kriti was last seen in the Bareilly Ki Barfi alongside Rajkummar Rao and Ayushmann Khuranna. The actress gave us serious style inspiration in her amazing outfit. Take a look here. Newly wed Anushka Sharma left all enchanted at the launch of the song from their new film. Anushka was seen sporting a red colored velvet attire. And we couldn’t stop drooling. Here’s the picture….